Perhaps New Hampshire’s famous motto “Live Free or Die” will be slightly amended — the state just passed a new bed bug law which means tenants and landlords may have an easier time living bed bug free. Like other pieces of bed bug legislation we’re aware of, the new law, which we told you about when it was NH House Bill 482, isn’t perfect. We outlined some concerns about it in that earlier story. However, the law allows landlords to later charge a tenant for having their own unit treated (with an installment payment plan if needed), if that tenant is considered responsible for bringing bed bugs into the building. That is fair, I think, but (as usual in these scenarios) I have some concerns about how it will be determined “who is responsible”. 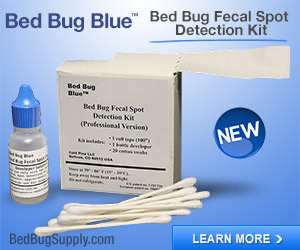 … there shall be a rebuttable presumption that the tenant is responsible for the infestation if during the 6 months prior to the inception of the defendant’s tenancy, and throughout the defendant’s tenancy, there were no reports, to the landlord or a municipal health or housing authority, of the presence of bed bugs in the defendant’s unit or the dwelling units of a multiple-unit building that are adjacent to or directly above or below the defendant’s unit, or by previous tenants in a single-family home. In other words, the law seems to suggest that if no other tenants report their bed bug problems, the tenant who does report bed bugs is assumed to be responsible. 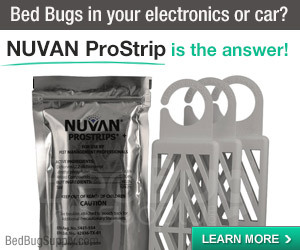 This is faulty reasoning, because there are lots of possible reasons for those adjacent neighbors not to come forward and report their own problem with bed bugs. 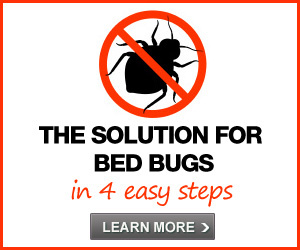 We know for a fact that some people will have bed bugs and not notice, sometimes for a long time. More often, perhaps, some tenants will fear repercussions (not least of which, having to pay for treatment they may be unable to afford) and may stay silent. 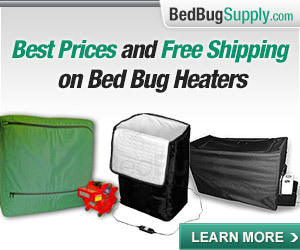 Some admit they are willing to “put up with” bed bugs rather than pay for treatment. 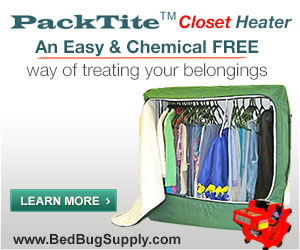 And then there are the tenants who stealthily treat their own units rather than report bed bugs — even though many DIY methods (like aerosols and foggers) make it more likely the bed bugs spread to neighbors. 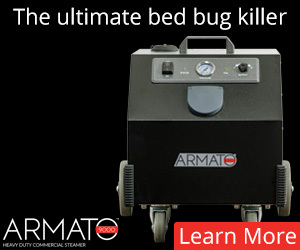 The tenant who can’t stay silent about bed bugs may potentially be blamed and forced to pay for treatment, even though bed bugs may have come from next door– and even though they may keep coming. No landlord shall willfully fail to investigate a tenant’s report of an infestation of insects, including bed bugs, or rodents in the tenant’s rented or leased premises, within 7 days of receiving notice of such alleged infestation from the tenant or a municipal health or housing code authority, or fail to take reasonable measures to remediate an infestation. 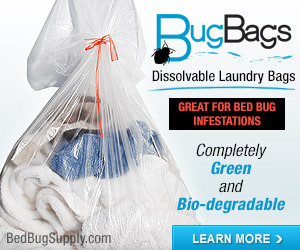 There are also stipulations that tenants with bed bugs must cooperate with preparations for treatment (though with only a minimum of 72 hours notice– which can be difficult given some prep lists), and that adjacent or attached neighbors must cooperate with inspections of their unit if bed bugs are found next door. I just wish this law clearly stated a requirement that landlords must have attached, adjacent units professionally inspected, instead of relying on tenants with bed bugs to come forward and report them. Smart and thrifty landlords will do this anyway, since they will end up paying for more infested units themselves if the apartment where the problem started is not found and treated. As the Concord Monitor notes, it will be up to the courts to decide who is responsible if landlord and tenant don’t agree. I am not a legal expert, but I would guess that in this scenario– where only one unit has reported bed bugs, and the tenant believes they came from next door — the tenant could argue that if attached and adjacent units were never professionally inspected, the landlord can’t assume they were bed bug-free. If the landlords are not smart enough to proactively inspect attached units when someone complains, let’s hope the courts are enlightened and fair, and will ask for this before assigning blame to the only tenant who came forward. 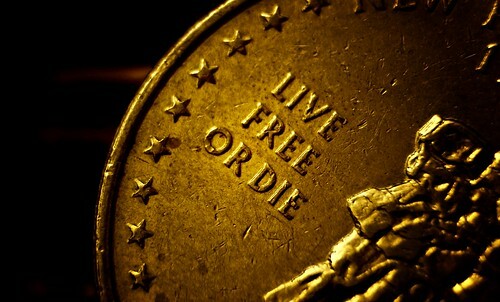 Image credit: “live free or die” by Paralog used under a Creative Commons Attribution/No Derivatives license. It seems to be a fair law as it holds both property managers/landlords as well as tenants responsible for reporting/detecting, treatment and controlling a bed bug infestation. 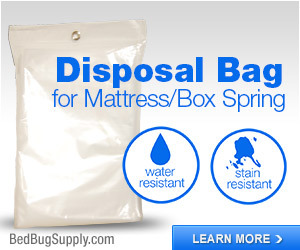 While it is sometimes not the tenants fault there are bed bugs present, everyone needs to be responsible or held responsible for the eradication. Just like the new Maryland law setting requirements for scent detection companies, more accountability is on it’s way! For the most part I agree, but as I stated, I can see a scenario occurring where tenants who did not bring the problem in are blamed *if* landlords don’t choose to have attached and adjacent units inspected. And I think this is a lose-lose, because when it happens, the landlord will end up with more infested units (and only one tenant having to pay for their own treatment). Landlords don’t do themselves any favors by not determining whether other attached units have bed bugs, before assigning blame to the person who reports the problem. 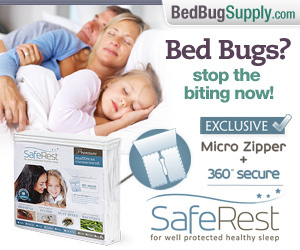 This goes to show you that bed bugs are here to stay. 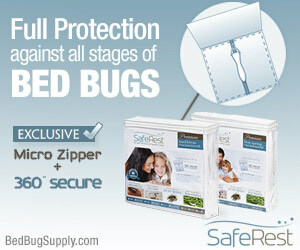 I think every state should have specific laws for bed bugs, as they are more of an issue then any other pest. 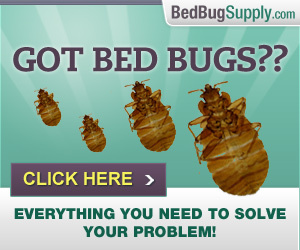 Although I feel for the landlords, I think it’s their responsibility to keep the units free of bed bugs. 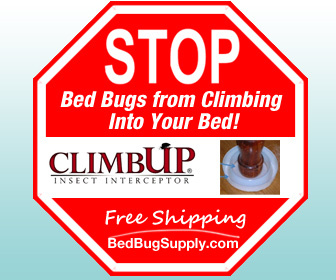 No one would intentionally bring bed bugs into their own home. So, if the tenants have to worry about reporting them because they are afraid they’ll have to pay for the treatments, the bed bugs could spread throughout the whole property causing even more expense to the landlord. I have to agree with you. Even from the landlord’s perspective, I believe requiring tenants to pay for bed bug treatment ends up costing them more in the end, because there’s an incentive for people to not report the problem and to instead let it spread and spread. I agree with Julie as well. My boyfriend and I are currently fighting bed bugs in our apartment and it’s not like we intended to bring them in. I travel for work and he’s a grad student, so it’s possible either one of us brought them home. It’s not like we brought in a couch from off the streets. Once we discovered them we reported them to our building manager right away. Two days later, they brought a pest company out to inspect our apartment and neighboring apartments (using a dog), and then did our first treatment. We were never told how payment would be handled, and foolishly, my boyfriend and I never thought to ask. So after our second treatment we received an invoice from our apartment with the treatments and inspection on there. I don’t have a problem paying for the treatments, as this is what I would’ve done if I was a homeowner. My problem is my apartment chose the company, chose the treatments, and then just handed us the bill. How do we know this was the best company to go with? Why didn’t we have a say in the treatment? If the first set of treatments didn’t work, do we have to pay for more? This makes me nervous because we’re currently in our 30-day waiting period between our last treatment and when they bring the dog back for inspection. 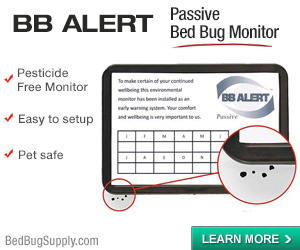 If the dog discovers bed bugs (we still have a bite show up now and then), I assume we’ll repeat the process. But does that mean we’ll also repeat paying? 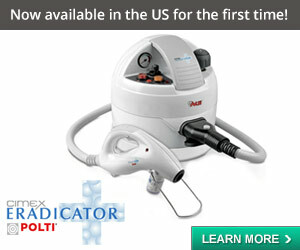 The first set of treatments already hit my bank account pretty hard — quite frankly, I can’t afford more treatments. If I had chosen the company and signed a contract, I would’ve made sure I went with one that would give me a guarantee (if one exists). I’m also unnerved because whoever did the treatments would leave a sheet saying exactly what they did. The last guy who did it was very thorough — hitting the closet, wall outlets, etc., which the first two didn’t do. If the bed bugs are still here, I plan on questioning the company as to why the first two pest guys didn’t hit all the places as the third guy did. I realize I may be starting to ramble, so I’ll wrap it up. My point is, there needs to be clear laws on the process of treating bed bugs in rented homes/apartments, and a process as to who pays the bill. Honestly, and this sounds bad, but if I had known what this was going to cost me (and may continue to cost me), I don’t know if I would’ve reported the issue either. I also wish I had had a discussion with my apartment managers about choosing a treatment, paying for it, etc. 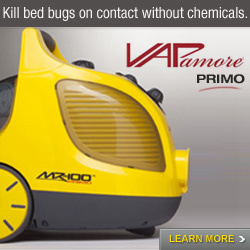 Previous post: Were bed bugs behind the NYC bug bomb fire and explosion?